I know real fur can be a contentious subject. In fact, I took part in an editors debate on the very subject for Issue 05 of In Retrospect (out now!). Personally, I don't have a problem with vintage fur but faux fur provides a pleasing alternative. Naturally, Peckham Rye's Carnaby Collar is made from the fake stuff. Peckham Rye are a wonderful clothing establishment on Newburgh Street in London (just off the famous Carnaby Street). With 200 years of fine tailoring in their colonial family history, Peckham Rye understand all there is to know about timeless British style. Taking a keen interest in his family history, Peckham Rye’s Martin recently discovered that his great, great aunt Emily was a mantle maker in the late nineteenth century. A mantle maker specialised in making cape-like jackets. Armed with this information, the penny quickly dropped as to what some odd shaped newspaper cuts outs were tucked away inside a box for safe keeping - original patterns for collars! Suddenly the old family photographs started to make sense. Peckham Rye have now brought Aunt Emily’s Victorian collar patterns back to life, naming them ‘The Carnaby Collar’. An expert in such matters, Martin says that the collars were worn by both men and women of the time, including soldiers during the Great War. Jolly useful they were too, acting as detachable shoulder shields to protect them from the elements. 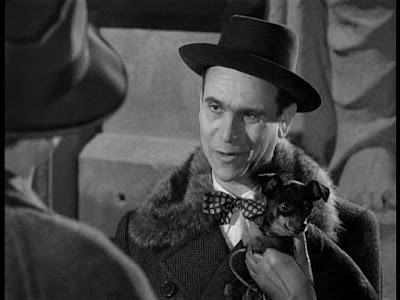 Keen to find an example of something sartorially similar, I was watching The Third Man when I noticed one of the characters, Baron Kurtz, looking simply dandyish in a lovely detachable fur collar. Like most of the beautiful items offered by Peckham Rye, each Carnaby Collar is made by hand right on the shop premises so it’s not even listed on their website yet! The Carnaby Collar features a heavy brass nautical style fastening and my collar was backed with Peckham Rye’s exclusive London spot silk. This is the same size polkadot as those that adorned Sir Winston Churchill’s bow ties. 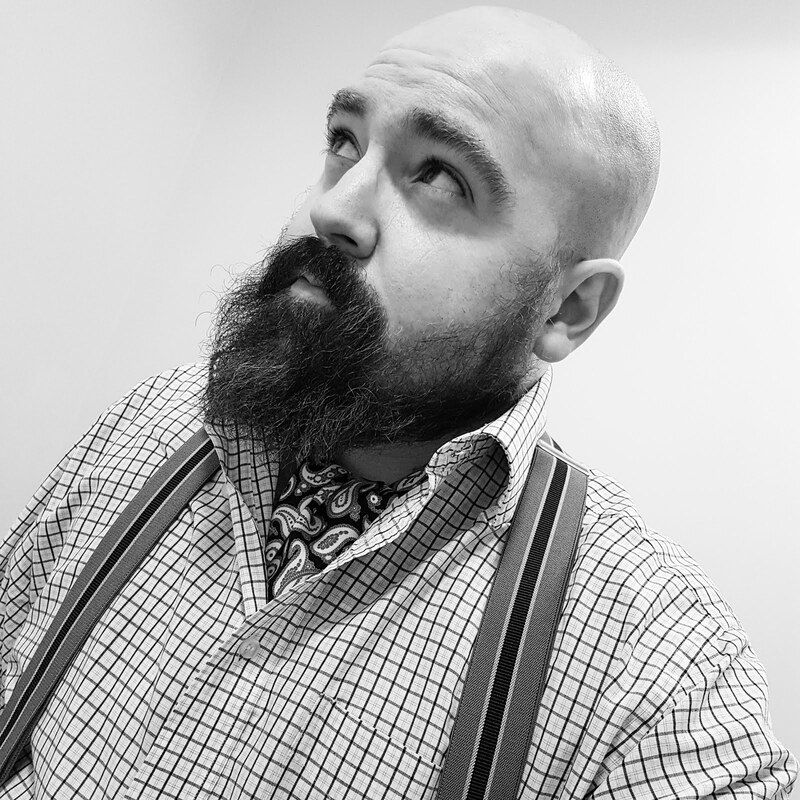 The Carnaby Collars are proving so popular with customers that they have had to expand their faux fur collection with new lining and colour options. Priced at £100, they are an absolute steal. If you would like one and live near London, I’d recommend paying a visit to the Peckham Rye shop. If not, give them a tinkle on 020 7734 5181. The faux fur collar really is first class and adds that all important pizazz to one's ensemble. I've nominated this outfit for Best Dressed Blogger 2015, a competition by Fire Label, who are a leading supplier of wholesale merchandise. I feel it stands a good chance of leading me to victory as the ensemble is classic yet daring. Sure, I've left a comment on your Instagram (and I am not stalking you!) :) ..over here, I stopped by with a purpose to praise you, even more. You are, in my honest opinion, even more of a gentleman for taking care of your look, whit the care of our beloved Nature. So, you are an advocate - indeed. Go, spread the word: one CAN (and should) look his/her best by faking fur. Oh, and in case I don't say it latter: happy holidays!